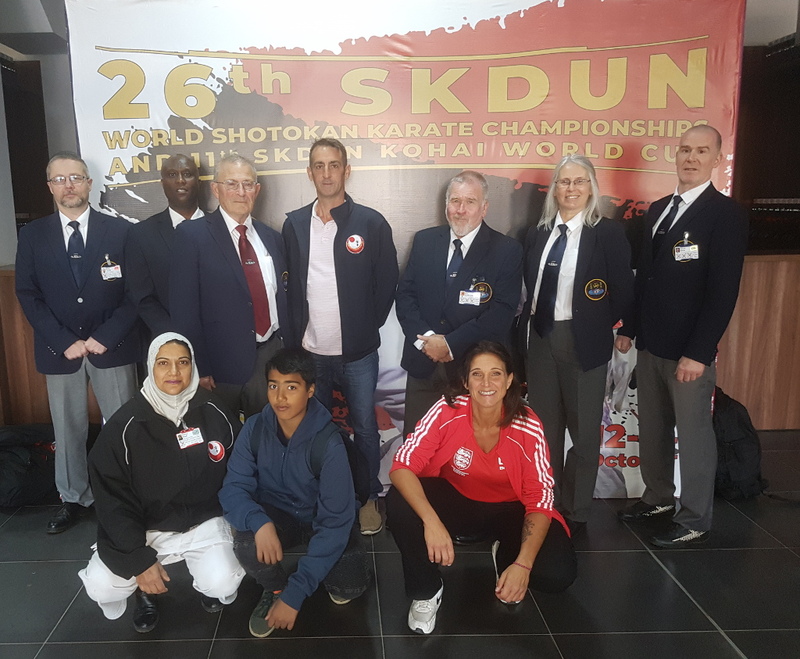 The England SKDUN team consisted of 12 people from five clubs affiliated to three different associations. 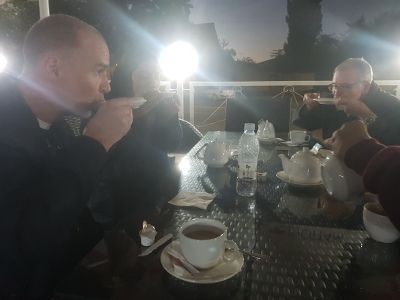 Members from all Shotokan clubs, organisations are very welcome to join with the SKDUN England team for future events. Please just ask for more information. 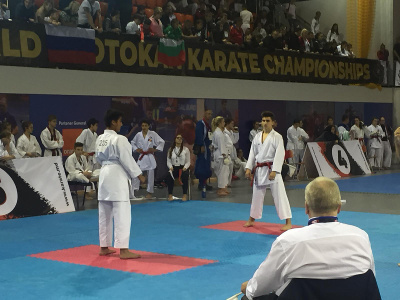 We operate on a fully inclusive basis to support those wanting to enter National, European and World Shotokan Karate Championships. The England team included eight Rengokai members, of which four were competitors. 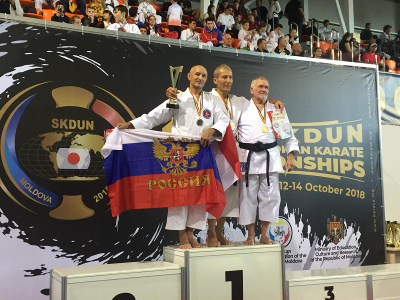 The Rengokai competitors achieved two silver and two bronze medals. 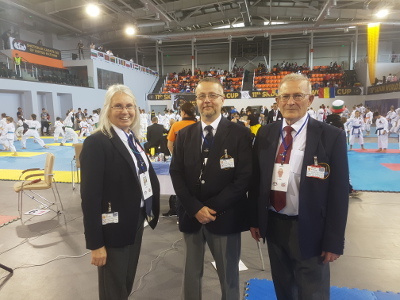 Sensei Colin Putt 8th Dan was the World Championships Chief Referee and Sensei Merv O'Donnell 8th Dan was the England team manager. 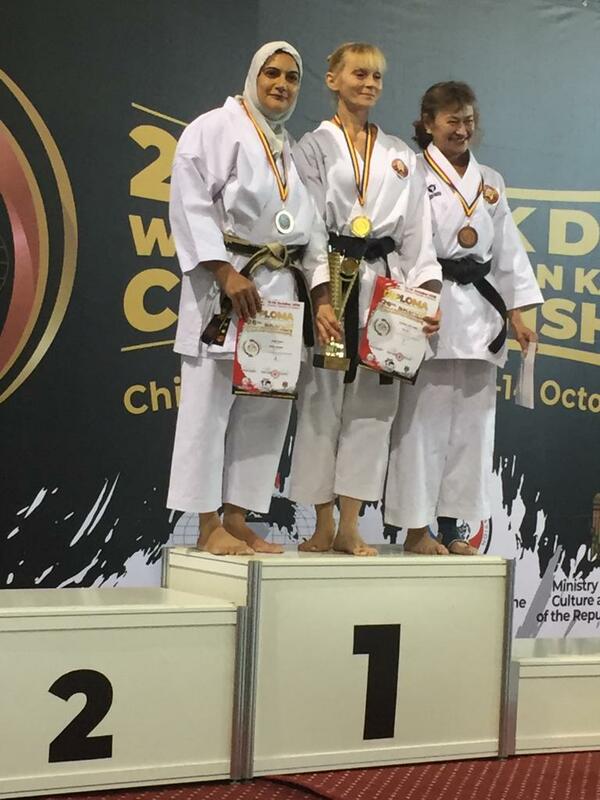 Zerina 2nd in Veteran Ladies Kata and Kumite events. Yusuf about to start his Jiyu Ippon. Practicing the ancient art of "slurping"